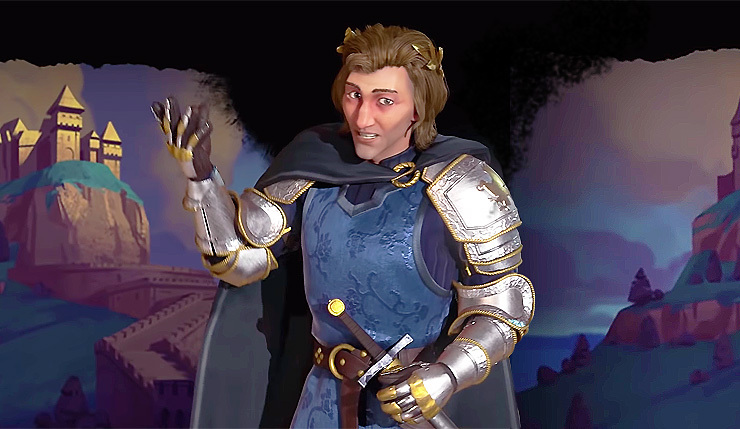 Civilization VI recently announced it’s second full expansion, Gathering Storm, which focuses on the environment and diplomacy, and now they’ve revealed the expansion’s first new civilization – Hungary under Matthias Corvinus. This is the first time Hungary has been included in a Civ game. You can check out a video overview of Hungary, below. Rivers play a big part in the prosperity of Hungary’s cities. With “Pearl of the Danube,” any district or building constructed across a river from a city center is built faster. This allows you to outpace the competition through careful city planning around rivers. Replacing the Zoo, Thermal Baths provide Amenities and Production to every City Center within its range. Additionally, if there is a Geothermal Fissure within the same City’s borders, the Thermal Bath provides even more Amenities and Tourism. The Huszár is an Industrial-era light cavalry unit that receives a Combat Bonus for every active Alliance. The more Alliances, the more bonuses Hungary’s Huszár receives. Corvinus’ legacy of military conquest plays into his unique ability, “The Raven King.” Units levied from a City-State gain extra movement and combat strength, and it costs no Gold or resources to upgrade envied units. Hungary also sends two Envoys to any City-State Corvinus levies units from. This is a light cavalry unit unlocked once the Castles technology is researched. The Black Army gains additional strength for adjacent levied units. Not the most unique civ, but as somebody who likes to play the “expand rapidly early, then try to mostly get along with everybody once the map fills up” game, I can definitely see myself playing as Hungary. What about you? Think they’ll make a good addition? Civilization VI: Gathering Storm, will include a total of nine new leaders representing eight civilizations. The $30 expansion comes to PC on February 14, 2019.